September seems to have run away with me, it's always a busy month here. 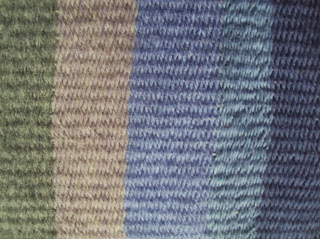 We try and fit in late summer sailing and as the Seasons slowly change I plan and work towards my Autumn/ Winter knitting, weaving and spinning projects. 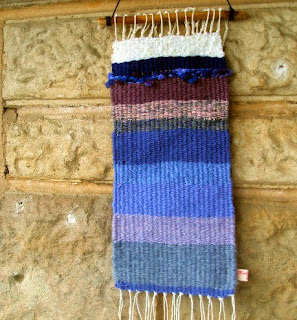 I have been wanting to make some "woolly art" for the wall for ages and now I'm pleased to show you my first effort! 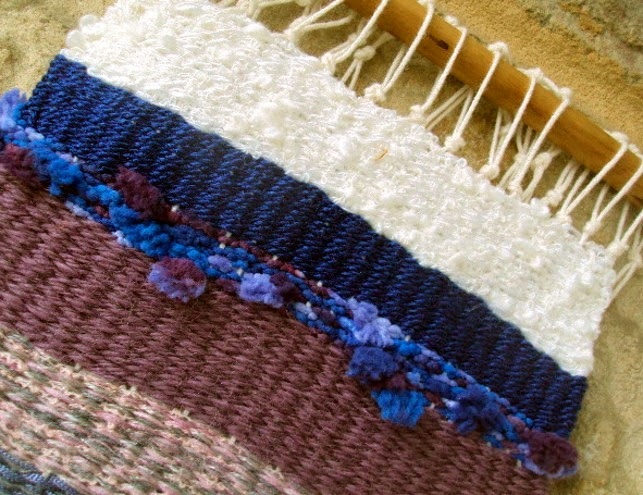 It is hand woven; the warp is string and the weft is worked with threads of wool, silk, cotton and mixed fibres, combining to make a firm cloth of "hues of seascape views". Using a piece of hazel wood, barked and smoothed then wax polished to hang the finished piece. 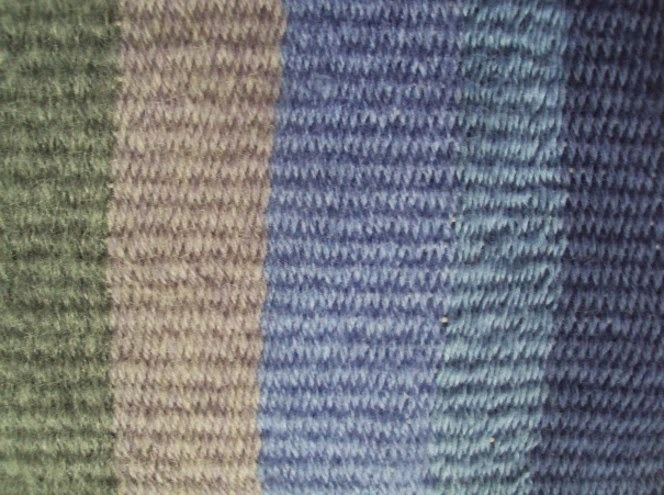 I'm planning to weave some more "woolly art" in some of my favourite colour ways. I also want to use some of my own hand spun yarn I have been reserving for this task. I shall really enjoy the challenge to upscale to my table loom and make a large wall hanging.